Home / Merken / CompagnieM. Populariteit Nieuwste producten Laagste prijs Hoogste prijs Naam oplopend Naam aflopend Alle merken CompagnieM. These sailor style pants are so versatile: you can turn them into a pair of shorts or choose the dungarees option to make them a real eyecatcher! 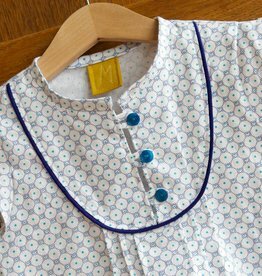 Suitable for summer and winter depending on the fabrics you choose. Patroon Lotta Dress (1-10j) CompagnieM. 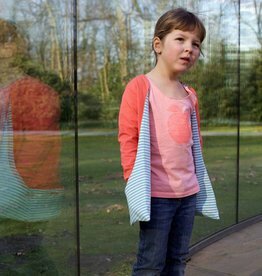 The Mara blouse by Compagnie M. is a feminine blouse for girls with a touch of vintage. 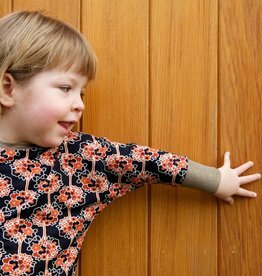 With several sleeve & dress options the perfect pattern for endless sewing fun! The Julia Sweater by Compagnie M. is a versatile pattern with dolman sleeves and large cuffs. Quick and easy to sew & very comfortable to wear ! Patroon Julia Sweater (children) CompagnieM. 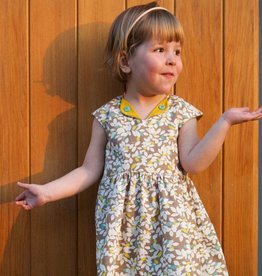 The Louisa dress by Compagnie M. is a vintage inspired pattern with a modern twist. Unique pockets and three back options make this a versatile pattern. Add lining according to the season and enjoy this pattern the whole year round. Patroon Louisa Dress (1-10j) CompagnieM. Patroon Susanne Cardigan (kids) CompagnieM. The Nina skirt & culottes pattern by Compagnie M. is a basic A line skirt with the option for culottes. Patroon Nina Skirt & Culottes (children) CompagnieM.